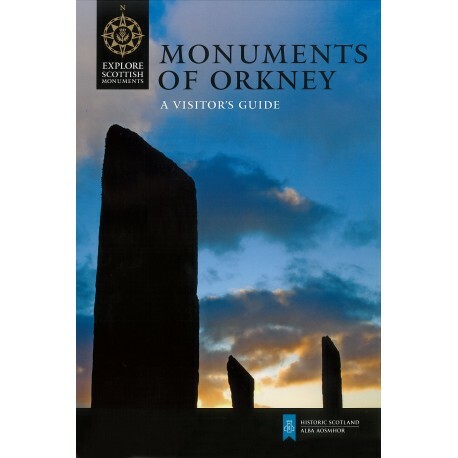 Monuments of Orkney is Historic Scotland's visitor guide to Orkney, written by Caroline Wickham-Jones, covering all of the sites of interest. From the Early Neolithic farm at the Knap of Howar to the flamboyant chapel built by Italian prisoners of war in the 1940s, Orkney is amazingly rich in historic and prehistoric sites. At their centre is a cluster of spectacular Neolithic monuments, now inscribed as a World Heritage Site. Orkney later became a flourishing Norse centre, with St Magnus Cathedral as its striking centrepiece. In this extensively illustrated guide more than 60 monuments are introduced in concise and accessible terms, set in context by a brief history of the islands.